The head of Alibaba Group Holding Ltd.’s video streaming platform Youku has stepped down and been arrested as part of a corruption case, the company said Dec. 3. Yang Weidong, who has been with Youku since 2013, is being investigated by Chinese police and was arrested on Dec. 3, according to the company. 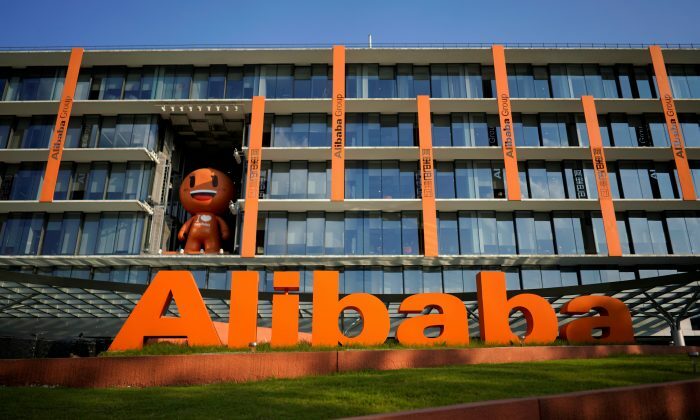 “(Yang) is understood to be assisting mainland authorities with an investigation into an alleged case of seeking economic benefits,” said a spokeswoman for Alibaba‘s Digital Media and Entertainment business. “We require all employees to conduct our business in accordance with all applicable laws and regulations and in accordance with the Alibaba Group Code of Business Conduct. We do not tolerate any form of unethical or unlawful conduct,” the statement said. Fan Luyuan, the current chief executive and chairman of film unit Alibaba Pictures, has taken over Yang’s role, the company said. This is not the first time Youku has been rocked by high-level financial misconduct. In 2016, the video platform’s former vice-president, Lu Fanxi, was detained after a company audit found “points of serious suspicion in certain production projects,” as revealed in a an internal email published by Chinese media. Lu is believed to have colluded with contracting companies for kickbacks, reported The Financial Times. Later that year, a vice president at Alibaba’s film arm, Alibaba Pictures Group Ltd., Kong Jiyin was taken away by authorities for graft. He reportedly received millions of yuan in bribes. Yang is the latest in a string of executives to have fallen amidst the Chinese regime’s corruption crackdown in recent months. Wu Xiaohui, former chairman of China’s largest insurance conglomerate, Anbang Insurance Group, was sentenced to 18 years in prison for fraud and embezzlement in May. Anbang had made several massive overseas acquisitions, including New York’s Waldorf Astoria hotel. The billionaire founder of Tomorrow Group, Xiao Jianhua, has gone missing, after being placed under investigation by Chinese authorities. Ye Jianming, former chairman of CEFC China Energy, China’s largest privately held energy company, was arrested in May and also placed under investigation for economic crimes. His company’s assets were liquidated in order to repay its massive debt. In a high-profile case, A-list actor Fan Bingbing, who has appeared in “X-Men” and “Iron Man’ film franchises, was accused of tax evasion and subsequently disappeared from public life for three months earlier this year. Fan has since been ordered to pay 884 million yuan ($129 million) in overdue taxes and fines, state media said in October. Fan publicly accepted the punishment and apologized to her fans in a social media posting. Reuters contributed to this report. Epoch Times staff writer Annie Wu also contributed to this report.